Time, especially quality time with others, is something I put a lot of value in. It’s precious, sacred, and, these days, pretty hard to come by. Technology and people’s need to hustle through their days often dictates how they spend their time. It can easily seem like there just aren’t enough hours in the day to do everything you need or want to do. But when we really stop to think about it, there usually is. We just don’t spend them wisely. Cameron and I currently have very, very different schedules. We work at different times, sleep at different times, and the small amount of time that we do have in between gets filled up really quickly if we aren’t careful. But one thing we’ve realized is that those few hours are, by far, some of the most valuable hours we have. They deserve to be protected and cared for as much as possible. Quality time is my top love language. If you don’t know what your love languages are, I highly suggest that you pop on over and take the quiz to find out. It’s free and oh so amazing! Knowing what Cameron’s love languages are helps me love him more, and, yes I’ll say it, better. We both have quality time as one of our top two (mine is #1 and Cameron’s is #2). 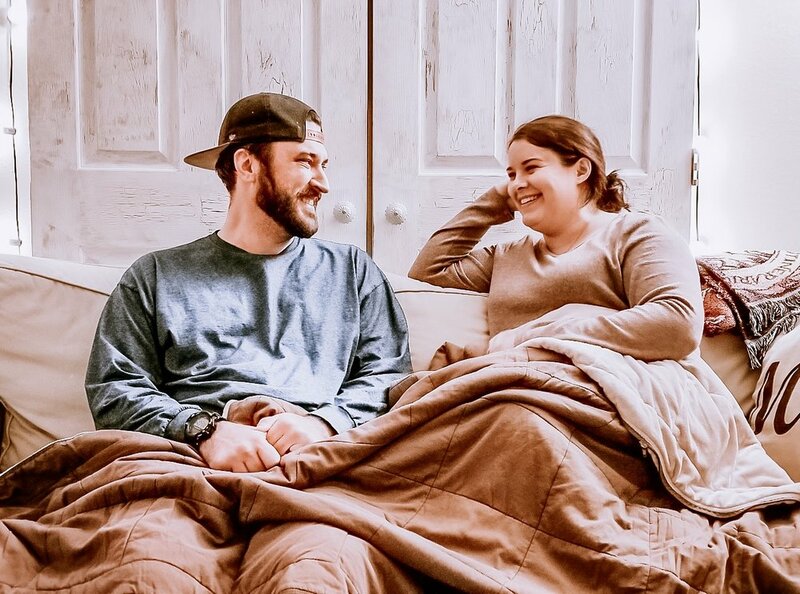 But one thing we discovered early on in our marriage is that while we speak the same language, the way it’s best spoken to each of us looks very different. To him, quality time is being next to me, no matter what we are doing and whether we are talking or not. To me, it’s eye contact, undivided attention, and intentional conversation. Neither is right, wrong or better, they’re just different. And as we’ve learned more about what that looks like, we’ve been able to be a lot more intentional with the time we have to spend together. I mentioned in one of my recent posts that I’m not a go-getter. I don’t have a hustler “go go go” mentality, though sometimes I wish I could say I did. But I value my downtime, both with myself and with others. I see immense value in connecting with those around me; being disconnected from distractions and intentionally building up relationships. Because at the end of the day, when working, texting, phone calls, and social media platforms are gone, will we be happy with what is left? Will we look back satisfied with how we spent our time? Several years ago, Cameron and I were having dinner at Chipotle. As we sat down to eat, I noticed a family of 7 (Mom, Dad, and 5 kids) crammed into a corner booth. Two of the kids had headphones in, all 5 of them were on tablets, Dad was playing a game on his phone, and Mom was staring off into space as everyone around her kept their noses buried in their electronic devices. I looked at Cameron and said, “What’s the point of even going out as a family if no one’s talking to each other?” He shook his head and mentioned that, unfortunately, that was becoming all too common. I tell this story in amazement every time because it was in that moment that I couldn’t help but think about all of the important things we miss by not being intentional with the time we have. Husbands connecting with their wives, kids sharing the highs and lows of their day, and families growing stronger over conversation. By giving others our attention, even just in small moments, we are letting them know they matter. We are building trust, tearing down walls, and strengthening relationships. We are encouraging them, supporting them, and giving them a chance to freely express themselves. By giving others our attention, we are loving them unconditionally. Some of the best marriage advice we received still often runs through our minds today. When we are older and our kids have moved out, all we’ll have left is each other. Taking the time to cultivate and strengthen our relationship now is one of the most important things we can do as a couple. The time we spend together and how we choose to spend it is an area that we continue to develop daily. We make it a priority because it allows us to continue to grow in intimacy with one another. You see, we’re all human. We change and go through experiences that constantly push us forward in life. There will always be something new for me to learn about my husband. In the same way, there will always be room to grow in our marriage. The day we think otherwise, the day we stop putting effort into that growth, we have a serious problem. In our home, we do date nights, conversation over dinner, and singing and dance sessions in the car. We go on walks in our neighborhood, go see movies, wander aimlessly through stores with no intention of buying anything, and drive around town looking at houses we will never live in. Sometimes we talk, sometimes we just enjoy each other’s company. But we always do it together. And at the end of the day, those are the moments I will look back on and know, without a doubt, that my time was spent wisely.